Please help this guy out! NASA Grail spacecraft have reached orbit with the Moon to survey and study the lunar surface in unprecedented detail. 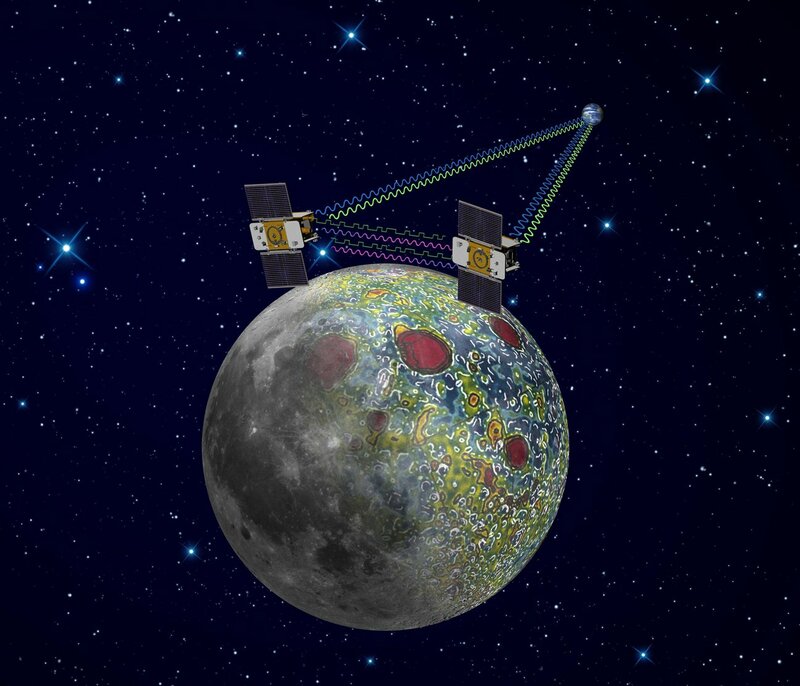 This artist rendering provided by NASA shows the twin Grail spacecraft mapping the lunar gravity field. The Grail probes, which stands for Gravity Recovery And Interior Laboratory will have a polar orbit at an altitude of 34 miles (55km) and maintaining a distance of 75 to 225 miles (121 to 362 km) apart as they circle the Moon. Aerospace Pioneer Burt Rutan and Microsoft Co-Founder Paul Allen of Stratolaunch Systems are developing a Giant Space Plane. The new space launch plane will have a wingspan of 380 feet – the world's largest. The plane will carry under its belly a space capsule with its own booster rocket; it will blast into orbit after the plane climbs high into the atmosphere. The rockets will eventually carry people, but the first tests, scheduled for 2016, will be unmanned. It should be another five years before people can fly on the system that Allen and Rutan are calling Stratolaunch. 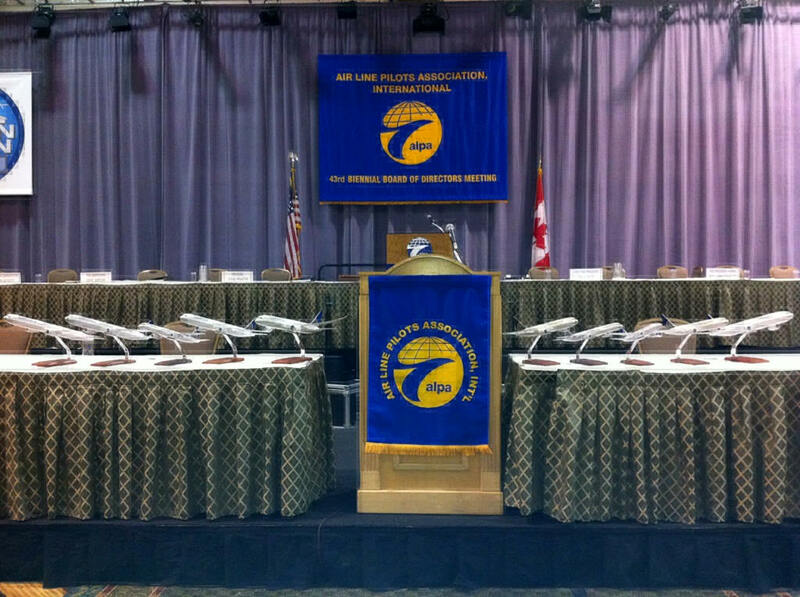 This is a display of Continental Airlines models supplied by Silent Thunder Models for the ALPA - Air Line Pilots Association - International, 43rd Biennial Board of Directors Meeting held in Florida recently. 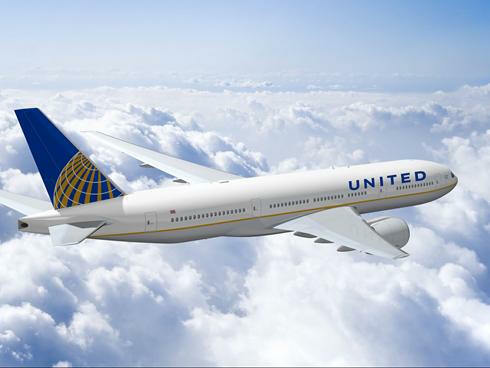 United's merger with Continental official closes today, a move that likely begins the Continental brand's fade into the aviation history books. USA TODAY writes "the combination creates a carrier that in most, but not all, respects is bigger than Delta, formerly the world's largest." Eventually, the Continental name will disappear from all of the airline's aircraft, giving way to "United" on aircraft ranging from Boeing 747-400 jumbo jets to Bombardier Q400 turboprops. Silent Thunder Models is privileged to have supplied models for the production of the movie "Seven Pounds" 2008. Starring Will Smith, Rosario Dawson & Woody Harrelson. Directed by Gabriele Muccino. Columbia Pictures. Silent Thunder Models is proud to have contributed a picture of our presidential seal to the Official Gerald R. Ford Library and Museum website. The former 38th president of the United States passed away and was laid to rest in Michigan. 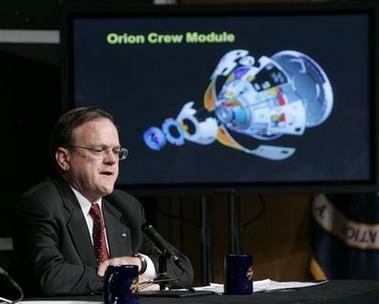 The nation's space agency plans to use the Orion crew exploration vehicle to replace the space shuttle fleet, take astronauts to the moon and perhaps to Mars. Unlike Apollo and earlier spacecraft perched atop rockets, it will be reusable. NASA estimated the cost at $7.5 billion through 2019 for likely eight separate spaceships.The last time NASA awarded a manned spaceship contract to Lockheed Martin of Bethesda, Md., was in 1996 for a spaceplane that was supposed to replace the space shuttle. NASA spent $912 million and the ship, called X-33, never got built because of technical problems. WASHINGTON (AFP) - Space Shuttle Atlantis will be taken to its launch pad Monday ahead of its planned August 28 liftoff on a mission to resume construction of the International Space Station (ISS), NASA said. The orbiter with its huge external fuel tank and twin solid rocket boosters will be mounted on a mobile launcher platform that will crawl to launch pad 39B at the Kennedy Space Center in Cape Canaveral, Florida. The four-mile (six-kilometer) trip takes about six hours. 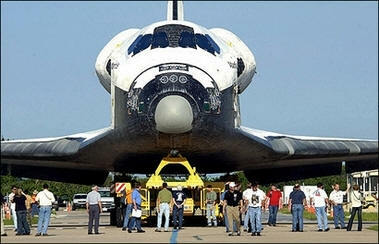 Atlantis has a launch window that opens August 28 and closes September 7. The 11-day mission will be just the third since the February 2003 Columbia shuttle disaster and the first of 16 missions to complete construction of the half-finished ISS. 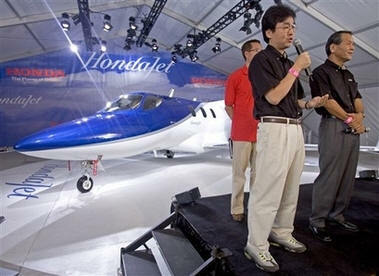 Honda to Sell Sleek Microjet in U.S.
CAPE CANAVERAL, Fla. - Seven astronauts aborted the launch of the space shuttle Discovery Thursday just seconds before a simulated liftoff Thursday during a dress rehearsal of their planned July 1 space shot. A mock main engine shutdown four seconds before "liftoff" prompted the abort and escape exercise for the STS-121 astronauts, NASA's second shuttle crew to launch since the 2003 Columbia accident, during a two-day training session here at the Kennedy Space Center (KSC). "It went very well, we had a good test," NASA KSC spokesperson Bruce Buckingham told reporters after the training session, adding that the Discovery orbiter could have launched today if the simulation were real. "I would have been here on launch day saying we had no problems at all." LOS ANGELES (AP) - A day after Space Adventures announced it was in a venture to develop rocket ships for suborbital flights, the company said Friday it plans to build a $265 million spaceport in the United Arab Emirates. The commercial spaceport would be based in Ras Al-Khaimah near the southern end of the Persian Gulf, and the UAE government has made an initial investment of $30 million, the Arlington, Va.-based company said in a statement. The spaceport announcement comes on the heels of Space Adventures' new partnership with an investment firm founded by major sponsors of the Ansari X Prize to develop rocket ships for suborbital flights. 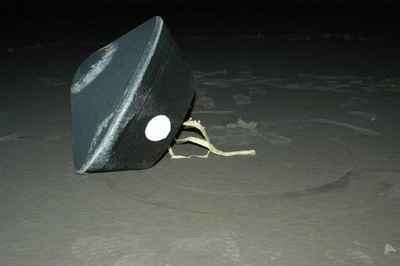 Mon, 16 Jan 2006 - After 10 years of vigorous planning and 7 years of flight operations, NASA's Stardust sample return mission successfully landed at the U.S. Air Force Utah Test and Training Range Sunday morning at 1010 GMT (10:10 am PST). The cometary and interstellar dust samples from the capsule will be packed into a special aluminum carrying case to be transferred to the Johnson Space Center, where it will be opened. NASA's Stardust sample return mission returned safely to Earth when the capsule carrying cometary and interstellar particles successfully touched down at 2:10 a.m. Pacific time (3:10 a.m. Mountain time) in the desert salt flats of the U.S. Air Force Utah Test and Training Range. 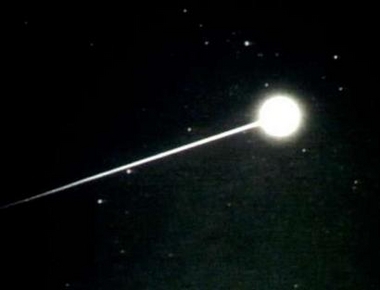 1/16/06 - DUGWAY PROVING GROUND, UTAH (AP) - After a seven year journey, a NASA space capsule returned safely to Earth on Sunday with the first dust ever fetched from a comet, a cosmic bounty that scientists hope will yield clues to how the solar system formed. The capsule's blazing plunge through the atmosphere lit up parts of the western sky as it capped a mission in which the Stardust spacecraft swooped past a comet known as Wild 2. CAPE CANAVERAL, Fla. - NASA took a major step toward returning to spaceflight early Thursday when space shuttle Discovery was moved to a launch pad in preparation for its scheduled May liftoff — the first since the Columbia tragedy two years ago. NASA plans a mid-May liftoff with a launch window from mid-May to June — a period dictated by the position of the international space station, the shuttle's destination. "It's a great sight to see Discovery rolling out to the launch pad," shuttle commander Eileen Collins, who will lead the crew on the next mission, said from Mission Control in Houston. "We know we are getting close." SALINA, Kan. - Millionaire adventurer Steve Fossett took off Monday night on his attempt to become the first person to complete a solo trip around the world in an airplane without making a single stop. Fossett, the first person to circle the globe solo in a balloon, launched his GlobalFlyer from the Salina Municipal Airport shortly before 7 p.m., beginning a 66-hour journey by climbing northeast into a darkening sky. Hundreds of spectators, braving a bitterly cold wind, gathered along the two-mile runway to watch the takeoff. Fossett hoped to return to Salina on Thursday morning. The 23,000-mile flight had already been postponed several times because of shifting jet stream patterns or weather at the airport. Silent Thunder Models is pleased to have filled a special order for one of the architects designing the Clinton Presidential Library. Three of our 10" inch Presidential Seal & Vice Presidential Seals will be permanently displayed in the Library. November 14-18, 2004, are the dates scheduled for the grand opening ceremonies for the Clinton Presidential Library -- America's 12th Presidential Library. Currently under construction on the banks of the Arkansas River in the River Market District of downtown Little Rock, the $160-million-dollar structure will contain 20,000 square feet of library and museum space, to include a replica of the Oval Office and the Cabinet Room. Exhibits in the museum are designed by Ralph Appelbaum and Associates of New York. Among its numerous notable achievements, Appelbaum and Associates created the powerful exhibits at the Holocaust Museum in Washington, D.C. When completed, the library will contain the largest collection of presidential papers and artifacts in U.S. history. MOJAVE, Calif. (Reuters) SpaceShipOne and White Knight, the world's first privately funded manned spacecraft, on Monday reached space for the second time in less than a week to win a $10 million prize designed to spur commercial space travel. 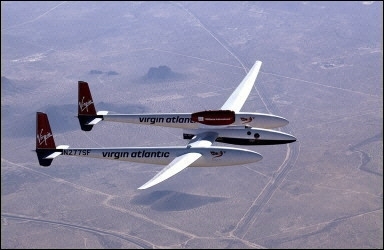 The stubby, three-seat rocket plane hurtled to a height of 368,000 feet traveling at more than three times the speed of sound to reach space on the last of two flights required to win the Ansari X Prize. "We are proud to announce that SpaceShipOne has made two flights to 100 kilometers (62 miles) and has won the Ansari X Prize," Peter Diamandis, founder of the X Prize announced to reporters at Mojave airport. 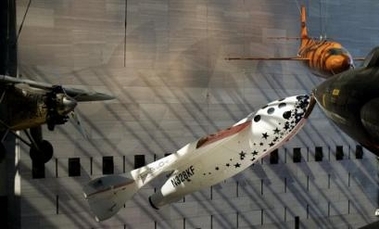 We are taking special orders for the SpaceShipOne Model. On December 17, 1903 Orville Wright took the first heavier-than-air manned aircraft for a 12-second spin at Kill Devil Hills in Kitty Hawk, NC. Later that day his brother Wilbur flew the plane for a 59 second span. This was considered the first official airplane and is also considered one of the most significant technological leaps mankind has taken in history. Click here or, click on the image to the left for the Wright Flyer "Centennial Of Flight" page. Aviation history was made Saturday, May 31, 2003 at New York's Kennedy International Airport when the last commercial flight of an Air France Concorde took off bound for Paris - Charles de Gaulle Airport at 8 a.m. EST. The last commercial flight of the British Airways Concorde will take place on October 24, 2003 from London, England. Marking the end of an era in modern aviation. Click here or, click on the image to the left for the Concorde Models we offer. The first production model was rolled out Friday, August 1, 2003 in Palmdale, California. "Like the Wright Flyer did 100 years ago, Global Hawk will lead the way in another revolution in aviation - unmanned systems," said Scott Seymour, corporate vice president and president, Northrop Grumman Integrated Systems. Marking a new era in modern aviation. Click here or, click on the image to the left for the Global Hawk Model we offer. RQ-1A Predator Drone is a long endurance, medium altitude unmanned aircraft system for surveillance and reconnaissance missions. Surveillance imagery from synthetic aperture radar, video cameras and a forward looking infra-red (FLIR) can be distributed in real time both to the front line soldier and to the operational commander or worldwide in real time via satellite communication links. 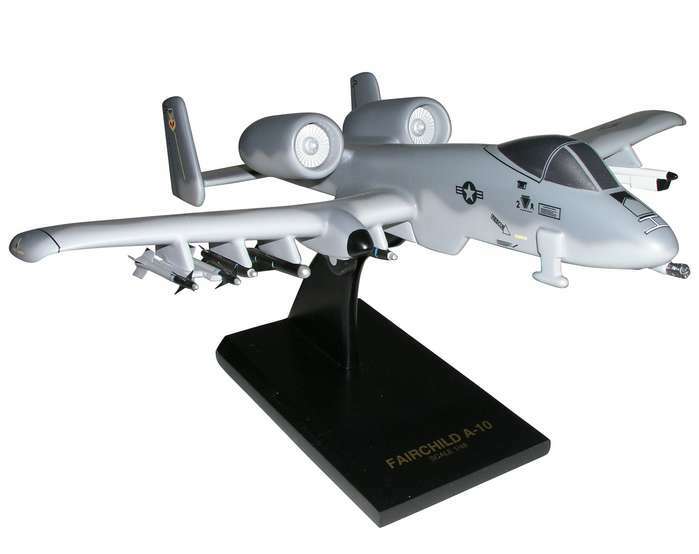 Click here or, click on the image to the left for the Predator UAV airplane model we offer. WRIGHT-PATTERSON AIR FORCE BASE, Ohio (AFMCNS) - The X-45A Unmanned Combat Air Vehicle (UCAV) took to the skies May 22 over Edwards Air Force Base, Calif., for its first flight. This major advance in aerospace technology occurred as the result of a Defense Advanced Research Projects Agency (DARPA)/Air Force/Boeing collaboration. The 14-minute flight marked the first step in transforming combat capability for the Air Force of the early 21st century. Click here or, click on the image to the left for the X-45 UCAV airplane models we offer. July 23, 2004 - Today the USS Ronald Reagan CVN-76, a Nimitz Class nuclear submarine arrived to it's home port in San Diego, California. The former president's wife, Nancy Reagan, welcomed the aircraft carrier and it's crew home. (Simi Valley, California-NBC) Sept. 21, 2004 - A retired Air Force One jet became a permanent fixture at the Ronald Reagan Presidential Library on Tuesday in California. The Boeing 707 served as Air Force One during the late President Reagan's eight years in office and has been moved to his presidential library in Simi Valley. One of the plane's last missions was bringing President Reagan home to California after he left Washington in 1989. The 153-foot-long jet was given to the library in 2001. It now sits in the $20 million Presidential Transportation Pavilion. Former First Lady Nancy Reagan attended the move-in ceremony. as seen from about 240 miles above the Earth’s horizon on Wednesday, Dec. 21, 2011. Click on the banner above or here for US Military Airplane Models. 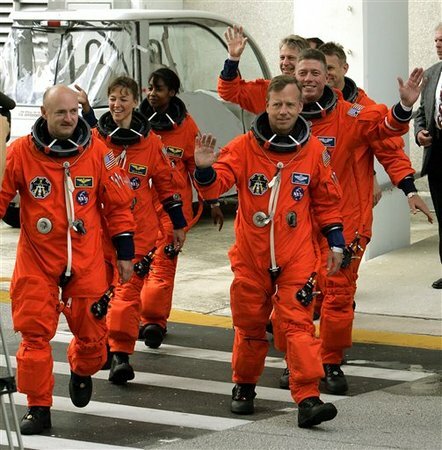 March 9, 2011 CAPE CANAVERAL, Fla. – Space Shuttle/Orbiter Discovery ended its flying career as the world's most flown spaceship today, returning from orbit for the last time and taking off in a new direction as a museum piece. "For the final time: wheels stop," commander Steven Lindsey called out when the shuttle rolled to a stop. February 25, 2011 NASA Space Shuttle Discovery launched successfully on the last space shuttle mission. Ending an exciting era in space exploration. October 01, 2010 Continental Airlines merges with United Airlines creating world's largest carrier. June 20, 2008 The Mars Phoenix Lander has found ice on the surface of the Red Planet, Mars. October 25, 2007 Singapore Airlines A380 completes first flight. July 06, 2007 Boeing says 787 Dreamliner to be delivered on time. Sept. 21, 2004 Former Air Force One Boeing 707 jet installed at Reagan Library in Simi Valley California. 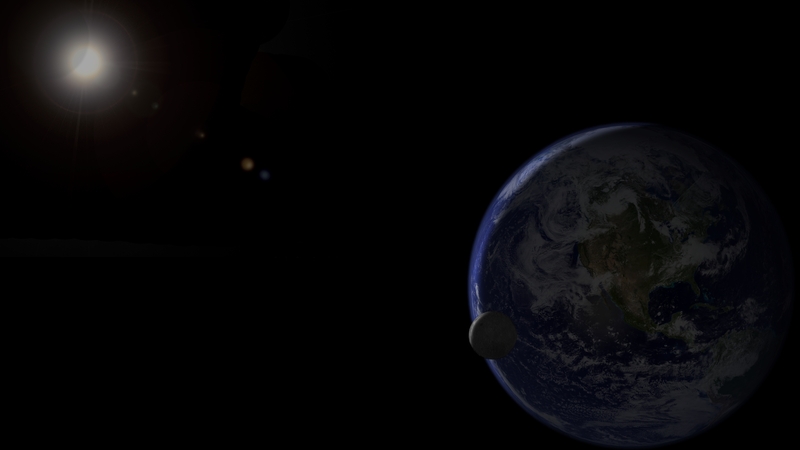 Aug. 31, 2004 NASA to Announce New Class of Planets. Aug. 26, 2004 American Airlines fuel costs up by $300 million. Today the USS Ronald Reagan CVN-76, a Nimitz Class nuclear submarine arrived to it's home port in San Diego, California. The former president's wife, Nancy Reagan, welcomed the aircraft carrier and it's crew home. WASHINGTON D.C. (AP) - Most of their comrades are dead now, making Saturday's dedication of the National World War II Memorial bittersweet for the tens of thousands of elderly veterans on hand. Marvin Spencer, who toured the site Friday with his wife, Helen, said the memorial is a lasting tribute to those who served and a history lesson for future generations. "About all of us are going to be gone in 10 years, but other people will see it and know what we did," said Spencer, 82, an Army infantryman who suffered a serious injury to his right arm during the decisive battle in Metz, France, in 1944. ROISSY, France (AP) - The vaulted roof of the new showcase terminal at Paris' Charles de Gaulle airport -- touted as a jewel of design, safety and comfort -- collapsed early Sunday, killing at least five people and forcing authorities to revisit problems that preceded the fanfare opening of Terminal 2E less than a year ago. ASHEVILLE, N.C. (AP) - Col. Robert Morgan, commander of the famed Memphis Belle B-17 bomber that flew combat missions over Europe during World War II, died of complications from a fall. He was 85.